WOW !! Incredible Market Price Adjustment. Northdale Area. Water view of the pond directly behind the townhome. Lake access. LOW HOA Fees. This beautiful community that is Le Clare Shores includes natural trails, park like settings, a playground, a pool and lake access with boat slip. 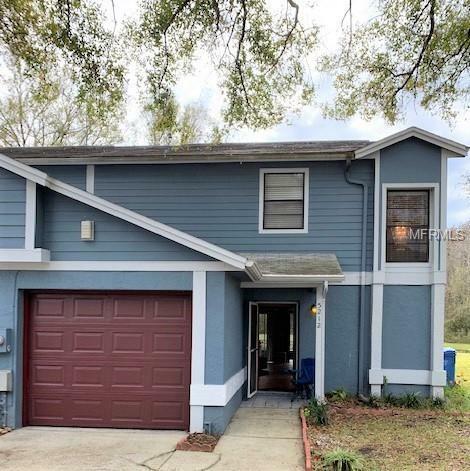 Come see this great opportunity of a townhome with 2 bedrooms and 1 and 1/2 bathrooms along with a bonus room that can be used for entertainment room, den, or library. A large living room/dining room open space concept with two big sliding glass doors open to the screened lanai where you can view the incredible pond. The large back yard flows right into the pond. Not to forget the attached one car garage with inside utilities. This townhome, since 2014 when purchased, has new Hardie Board siding, fresh exterior paint, a new water heater and water softener, new plumbing, new blinds, and newer roof. Some TLC and some updates will bring this townhome up to par with the more updated and more expensive comparables. Did I mention no HOA leasing restrictions. To top it off the sunsets are amazing. Just sit back and enjoy the tranquility of this beautify hideaway.